Dart Casting, Inc. is a high-pressure aluminum die casting company located in the heart of America and dedicated to making their customers successful. With a passionate commitment to quality, Dart Casting continuously works to ensure that each unit is produced with accuracy, consistency, and efficiency. In an industry where pennies and seconds per unit make all the difference, Dart Casting has invested heavily in technology, state-of-the-art machines, and manufacturing process to achieve each customer’s specified budget and deadline. A focus on the future technological advancements of the industry is balanced by Dart’s dedication to building a bond between the customer and the leadership team. Dart Casting partners with their customers to deliver premium products to the marketplace, and takes an incredible amount of pride in producing products that are beautiful, high quality, and intelligently manufactured. Regardless of whether the product is going into a high-performance automobile or hidden inside a complicated assembly — Dart Casting aims for perfection. When customers need to get their project done right, delivered fast, and executed with precision, Dart Casting is up for the challenge and does whatever it takes to make it happen. 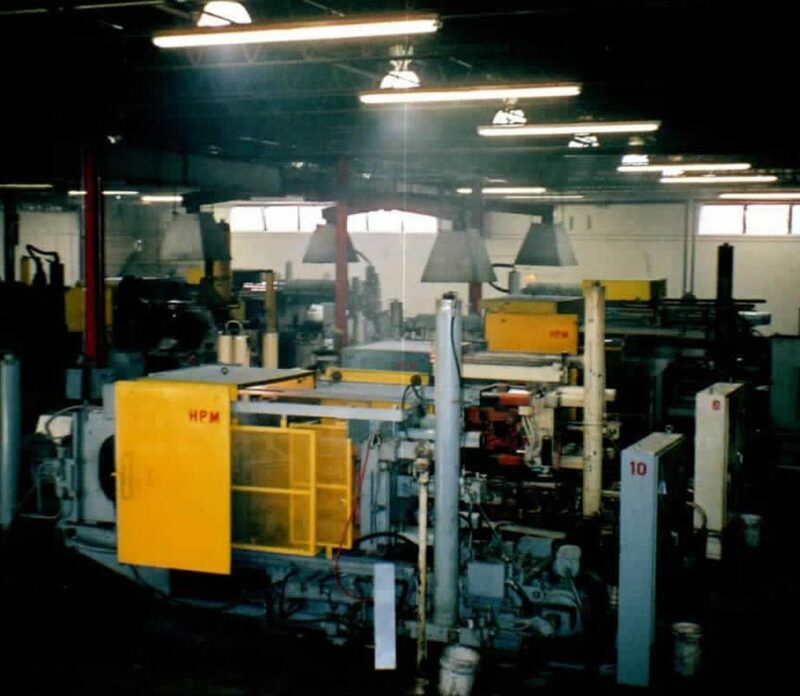 From one die casting machine in a tiny garage-sized space to 14 die cast machines and 100,000 sq. ft. of manufacturing space, Dart Casting has grown to meet the needs of their clients. 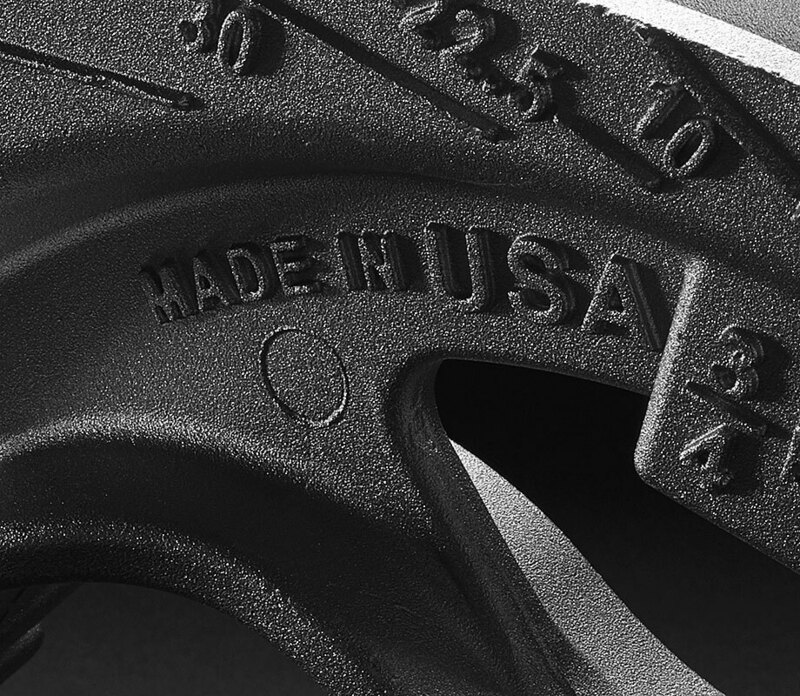 We are committed to casting products that are made in America and are of the highest quality. 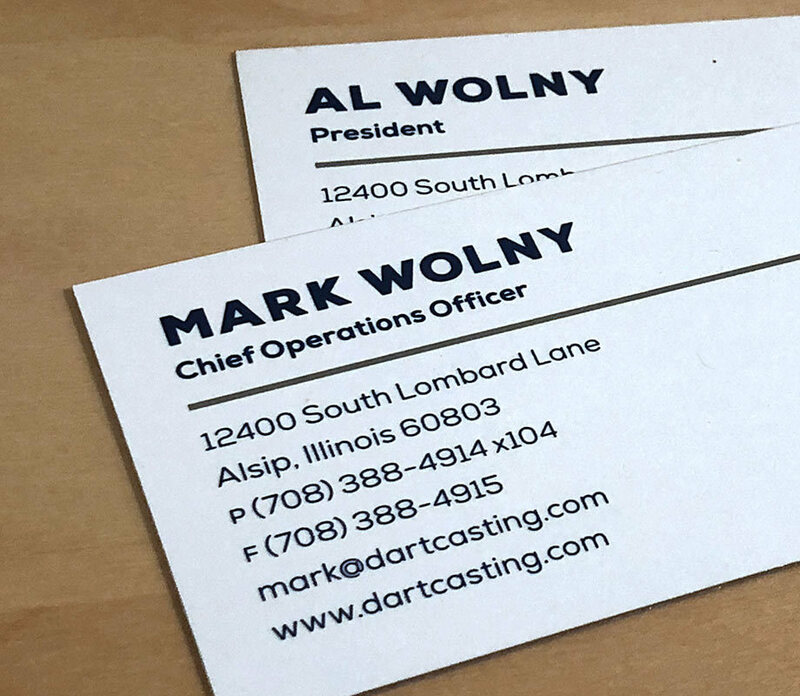 Mark and Al Wolny have die casting in their blood and have taken over their parent’s vision by keeping the customer’s goals at the core of the company’s purpose.